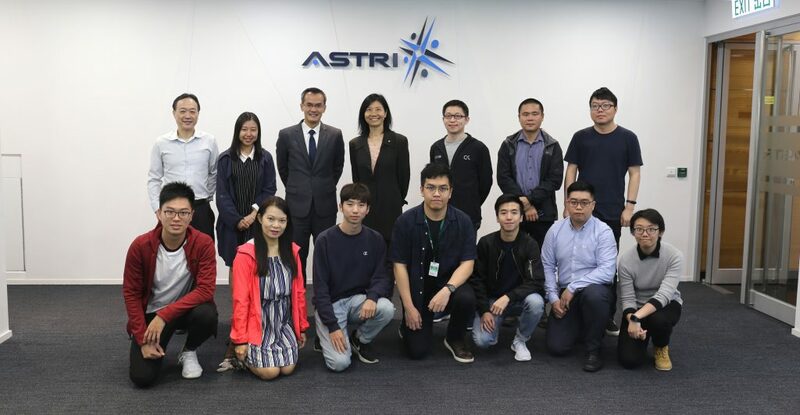 The Hong Kong Applied Science and Technology Institute (ASTRI) took part in the Gerontech and Innovation Expo and Summit 2017 (GIES) which took place from 16 to 18 June 2017 at the Hong Kong Convention and Exhibition Centre. 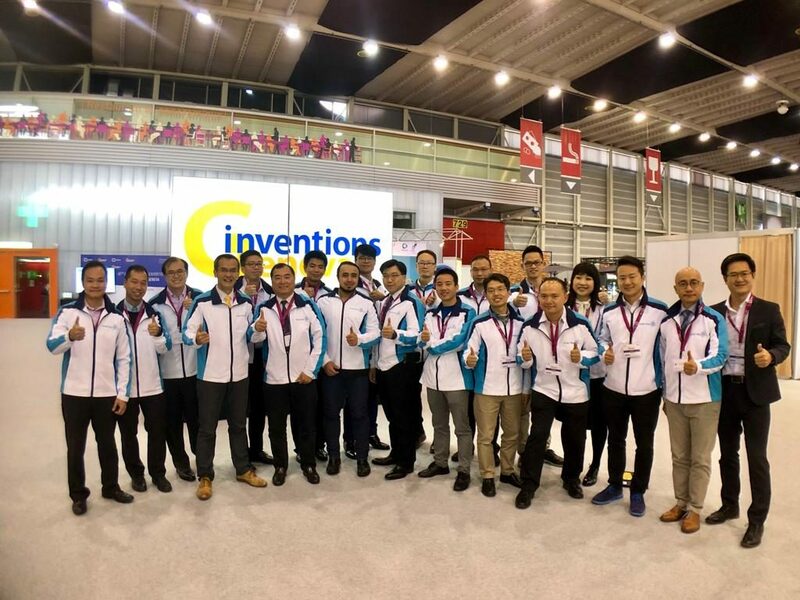 The GIES event has been the first large-scale expo and summit in Hong Kong organised by the SAR Government to showcase the latest Gerontechnology products and solutions. 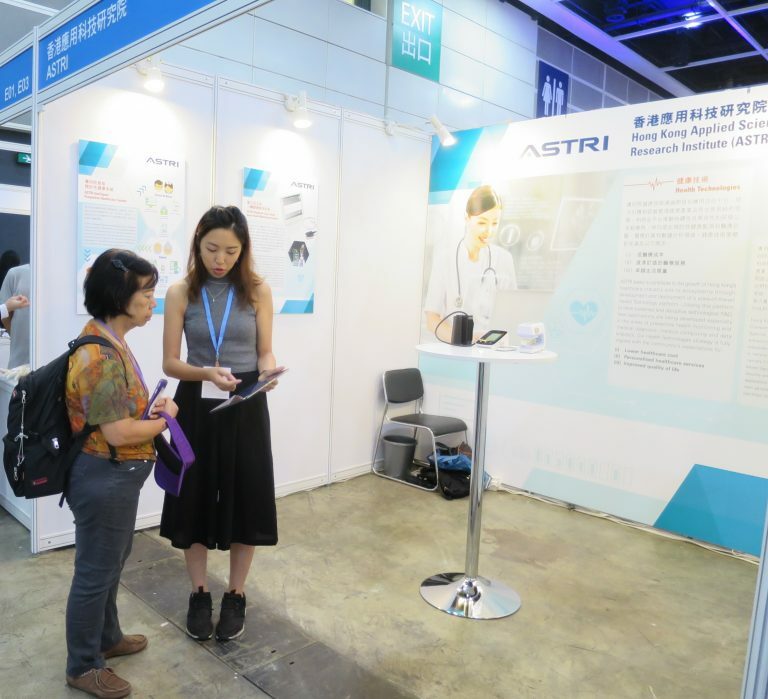 Drawing latest innovations and advanced exhibits from around the world, the event brought together the best in health technologies for the audience. 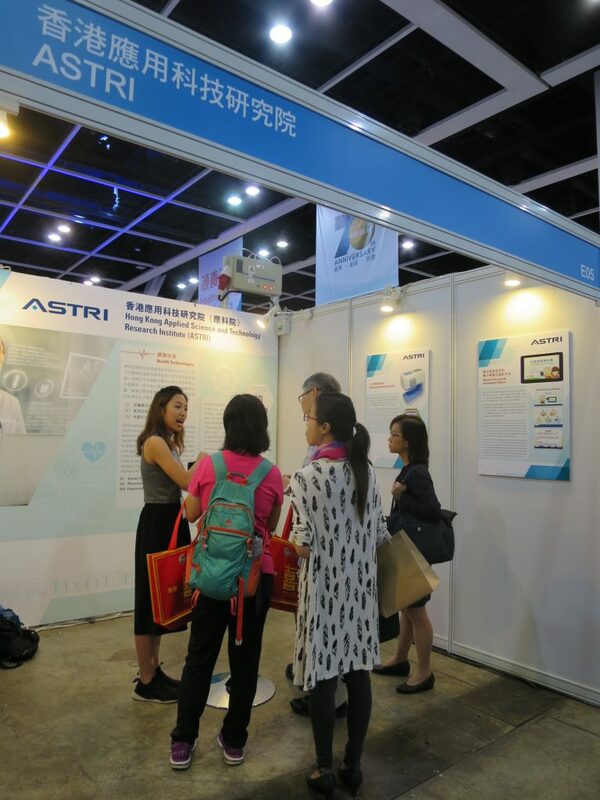 ASTRI’s booth at the Expo demonstrated its latest R&D initiatives and pioneering solutions. 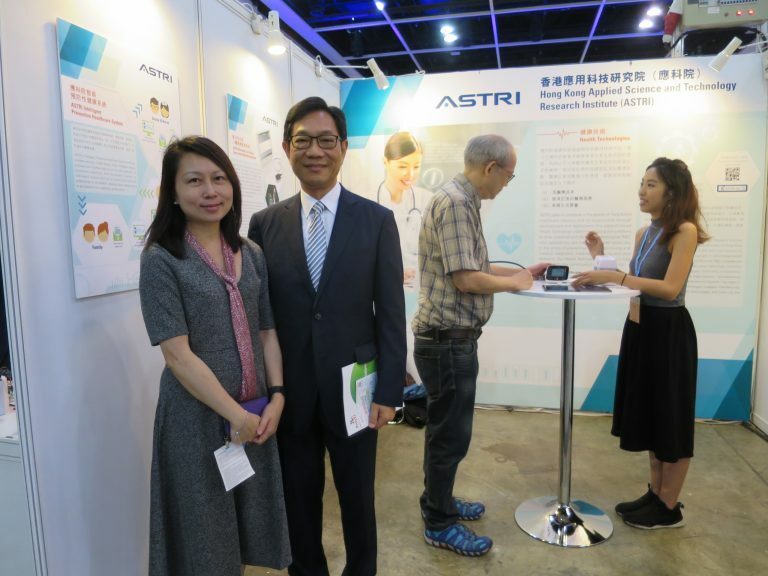 Health technologies is one of the five pillars in ASTRI’s R&D strategy. We strive to develop new applications and solutions especially in the areas of preventive health monitoring and medical diagnosis, medical computing and data analytics. 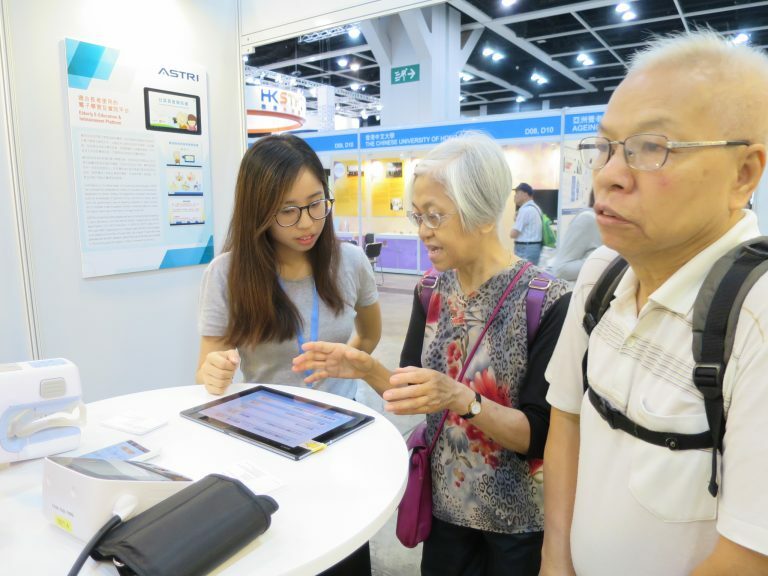 Four R&D projects were showcased with live demonstrations at the event, including the Elderly e-Education and Infotainment Platform for senior citizens. The platform provides information on general living, community news, alerts from the government, etc and enables the elderly to listen to latest news and related updates. 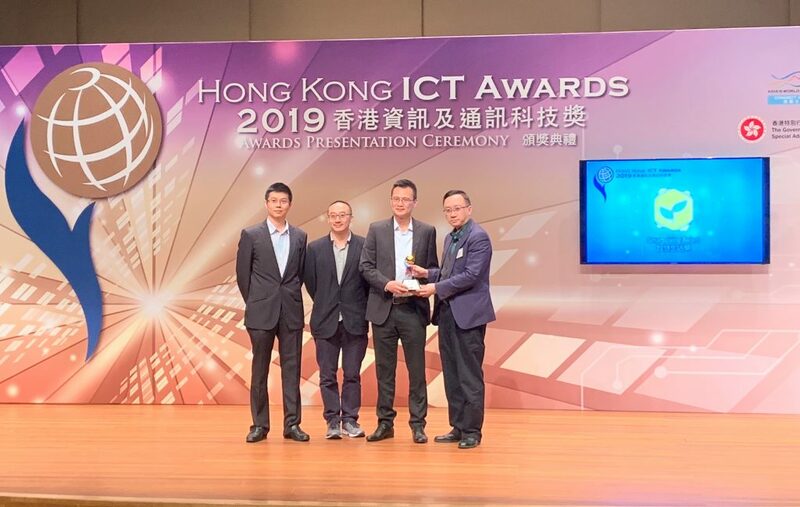 Another project showcased was Intelligent Preventive Healthcare System, which combines wireless sensors, mobile device, cloud, intelligent analysis software and machine learning for the next generation of preventive healthcare. 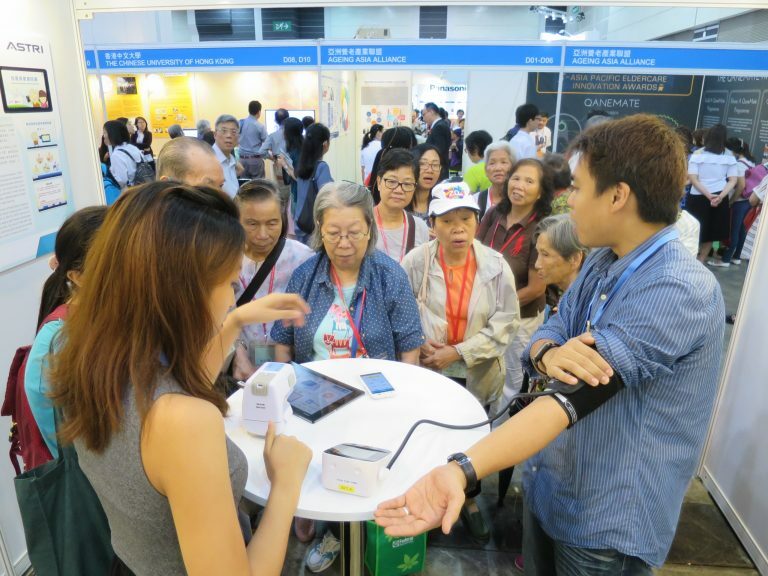 Bluetooth Low-Energy Heart Health Monitoring System and Cardiovascular Monitoring System were the other two. Gerontechnology is an interdisciplinary field of scientific research and product development where technological innovation is leveraged to ensure best possible care for the society’s senior citizens. 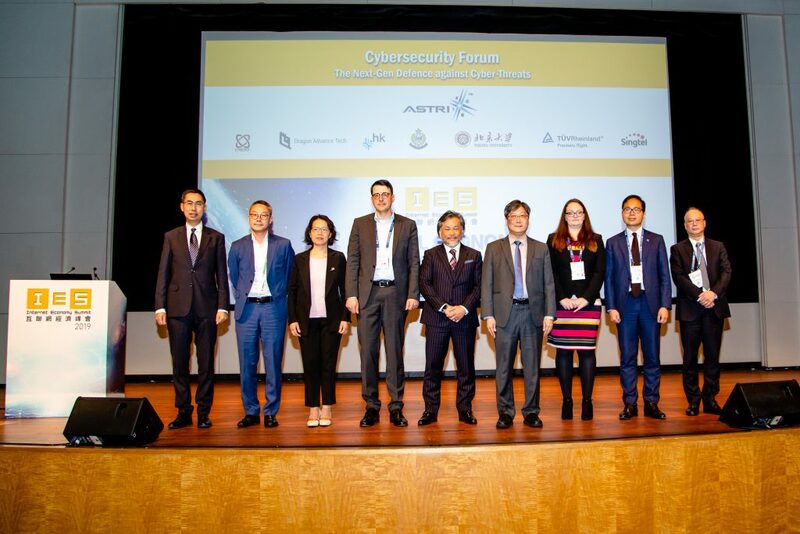 The GIES event was co-hosted by the Hong Kong SAR Government and the Hong Kong Council of Social Services, and co-organised by the Hong Kong Science and Technology Parks Corporation.